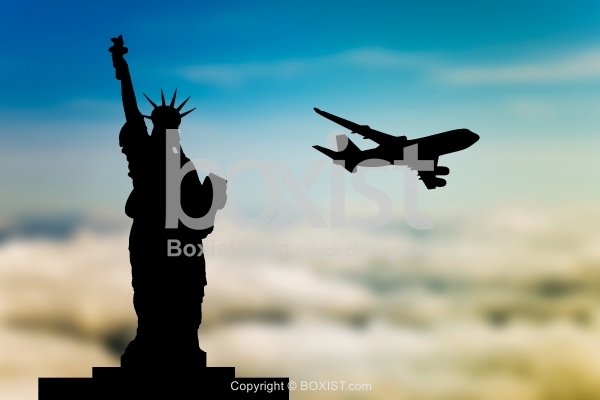 Concept Vector Design of the Statue of Liberty Silhouette with Airplane Departing. JPG: 9000x6000px @ 2.75 Mb. 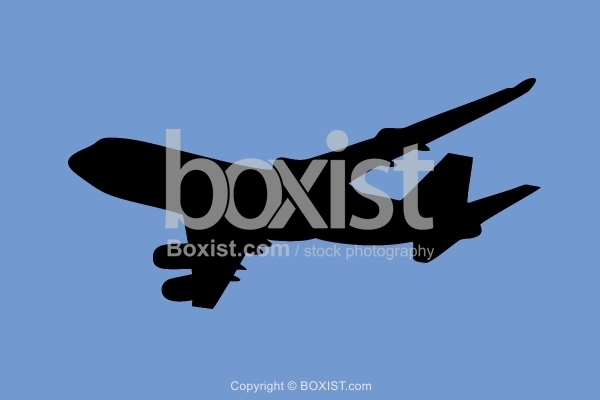 Vector Clipart Design of Commercial Airplane Silhouette Flying Against Blue Sky Background. 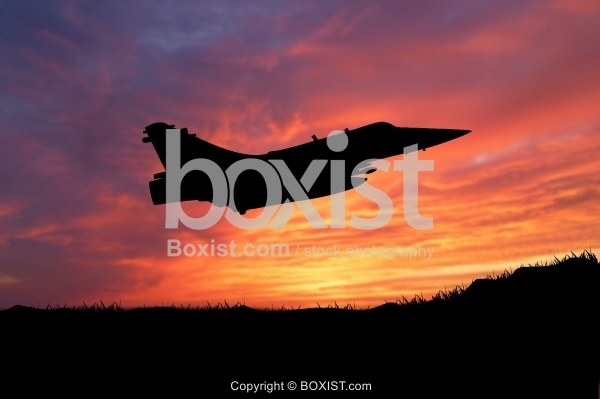 Vector Silhouette Design of Military Fighter Jet Flying Against Sunset Sky. 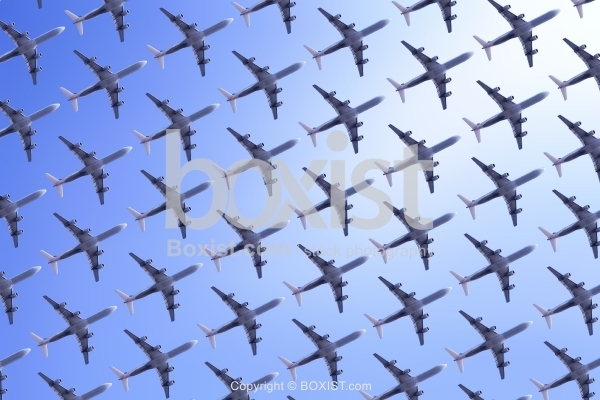 Blue Sky with Sky with Flying Ariplanes Pattern Background. 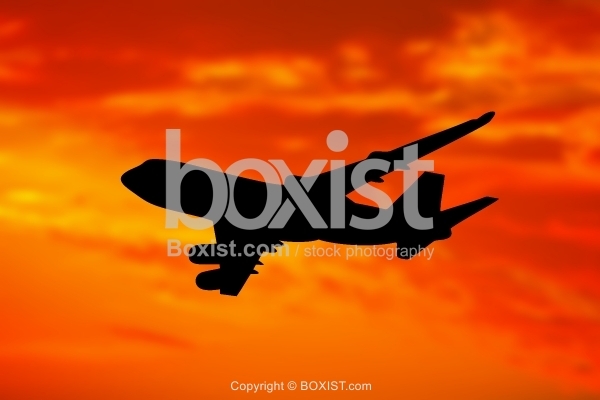 Vector Clipart Design Concept of Commercial Airplane Aircraft Silhouette Flying in the Sky Against Cloudy Orange Sunset in the Background.